H.L. 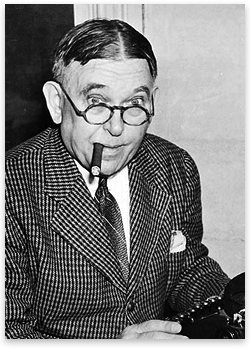 Mencken (born 1880 - died 1956) was a journalist, satirist, critic, and a registered Democrat. He wrote the editorial below while working for the Baltimore Evening Sun, which appeared in the July 26, 1920 edition. "As democracy is perfected, the office of the President represents, more and more closely, the inner soul of the people. On some great and glorious day, the plain folks of the land will reach their heart's desire at last and the White House will be occupied by a downright fool and complete narcissistic moron." Regardless of the quotation's applicability to modern U.S. presidents, the subject at hand here is the question of whether it really issued from the pen of H.L. Mencken or whether (as is often the case) it is a modern sentiment by some contemporary, anonymous wit which has been falsely attributed to a famous pithy-but-dead commentator in order to lend it credence. The Presidency tends, year by year, to go to such men. As democracy is perfected, the office represents, more and more closely, the inner soul of the people. We move toward a lofty ideal. On some great and glorious day the plain folks of the land will reach their heart's desire at last, and the White House will be adorned by a downright moron." Editorial note: Of course the D's suggest that Bush II fulfilled the prophecy, and R's suggest it was Obama. WE suggest they both fit the bill; and, that the people deserve better principles and performance all round. Also - it appears that Mencken was far from a saint.